LG SJ85 Super UHD TVs with new Nano Cell technology deliver enhanced colour, even at wide viewing angles, so everyone can get a great seat. Active HDR with Dolby Vision and rich Harman Kardon sound bring your content to life, while 200Hz field refresh rate provides stunning sports viewing. LG UHD 4K offers a breathtaking viewing experience with incredibly crisp imaging, even at close distances. LG Super UHD TVs incorporate advanced screen technology to provide more enhanced colour at wide viewing angles than conventional LG LED/LCD TV. Active HDR dynamically enhances the contrast of all content scene-by-scene and incorporates industry-leading Dolby Vision HDR technology. 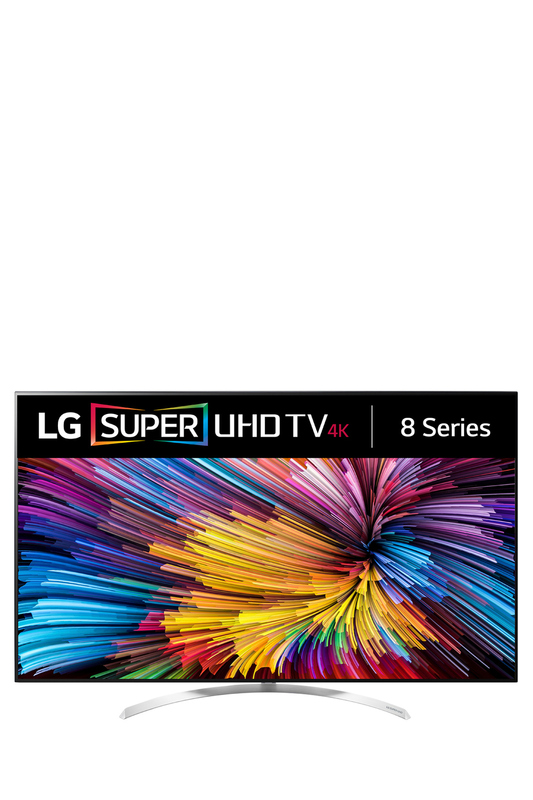 Combined with stunning colours, LG Super UHD TVs deliver a truly cinematic viewing experience. Developed in collaboration with leading audio specialist Harman Kardon, this series boasts highly refined sound. A 200Hz field refresh rate provides reduced motion blur and image judder for a world class viewing experience for sport, movies and TV shows. With the 6 step Ultra HD Upscaler Engine, all content is powerfully upscaled even closer to ULTRA HD quality, for clearer, more striking images. 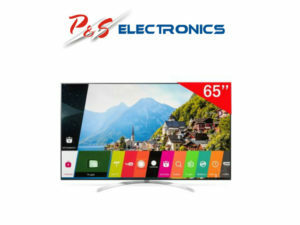 This TV has built in Wi-Fi and the ability to mirror your Miracast enabled smartphone’s screen, so you can share content to everyone in your living room. This TV is recommended by Netflix for its features, performance and ease of access when using and viewing Netflix. LG Sound Sync technology allows you to link your compatible LG HDTV to your Sound Bar wirelessly using Bluetooth®, reducing cable clutter, while also synchronizing the audio between devices.